Megan Uphoff joined Angott Search Group as an Executive Banking Recruiter in 1997, and today is a Managing Director for the Financial Services practice. She came to Angott Search Group from the financial services industry, having started with Bank One while attending Western Michigan University. 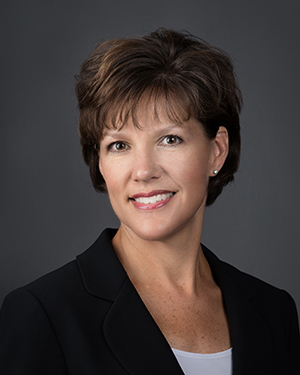 After graduating with her bachelor’s degree in 1992, she worked as a Business Analyst for Dun & Bradstreet in Tampa, Florida, and then returned to Southeastern Michigan as an Equipment Finance Officer for a regional finance company. Megan quickly applied her passion for the industry with her fundamental desire to help clients achieve their growth objectives through the hiring of high caliber professionals. In connecting great people with great companies, she has consistently achieved recognition as a top performer within the industry. Contributions to her success include her deep market knowledge and a high level of dedication in pairing talented professionals with growing companies. She prides herself in working closely with her clients, acting as an extension of their organizations, in order to help them achieve their goals. Megan values her long-standing relationships, many of whom she has worked with since the late 1990s. Her clients range from community banks, to finance companies to regional and national commercial banks. When Megan is not serving clients at ASG, she enjoys spending time with her husband and two daughters and is dedicated to supporting their endeavors from school, music, dance and horse back riding. Megan enjoys a variety of activities from skiing, gardening, hiking, reading, cooking and when time permits, traveling with family and friends.